Today is a beautiful day–the middle of November and 61 degrees at 5:30am. I woke up, got out of bed, and put on my coffee and oatmeal. This is the routine that I follow on any day that I get up and run. Except that today, I didn’t run. I sat on my exercise bike, barely pedaling, while I played World of Warcraft. I chose to run Heroic Auchindoun and fiddle with my Garrison instead of going outside on what just might be the last truly nice day of the season here in Alabama. And I feel terrible for it. I know I shouldn’t. I know that I was still exercising (albeit much more passively and not as intensely), and that I had fun on my game. But I feel like I made the wrong choice. I feel like I made a bad choice that I’ve been making a lot lately: not prioritizing my health and fitness. There are a ton of reasons why I haven’t been running as much as I want to lately, but the reasons don’t matter. Not really. What matters is that I change. I don’t plan on stopping watching TV or playing video games. (I enjoy both a great deal!) 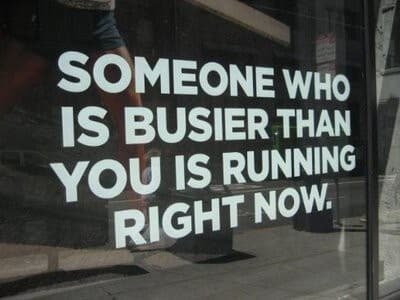 But I do think I need to stop making excuses and using them as a reason why I shouldn’t go run. So tonight, I intend to hop on WoW, queue up for a Molten Core LFR, and then run on my treadmill until the queue pops. Will that be as awesome as running a 10K around my neighborhood in the beautiful fall air? No, not at all. Not even close. But will it be better than lying on my back watching Good Eats and scrolling through Facebook? Absolutely. The thing about making bad choices is that you can’t erase them, but you sure can use them to make better choices in the future. And that’s what I intend to do tonight.